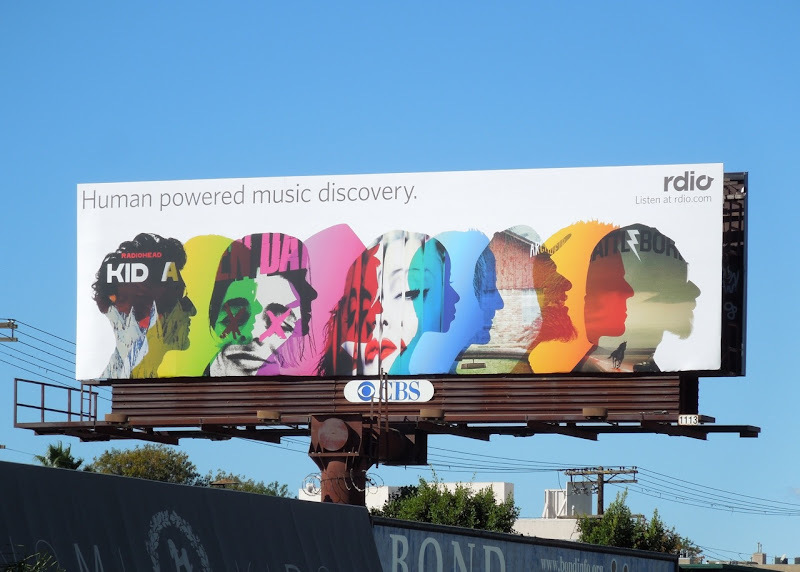 Daily Billboard loves these colourful creatives for the ad-free music subscription service Rdio and thinks they're a brilliant way to brighten your day with their kaleidoscope of vibrant colours and recording artists. 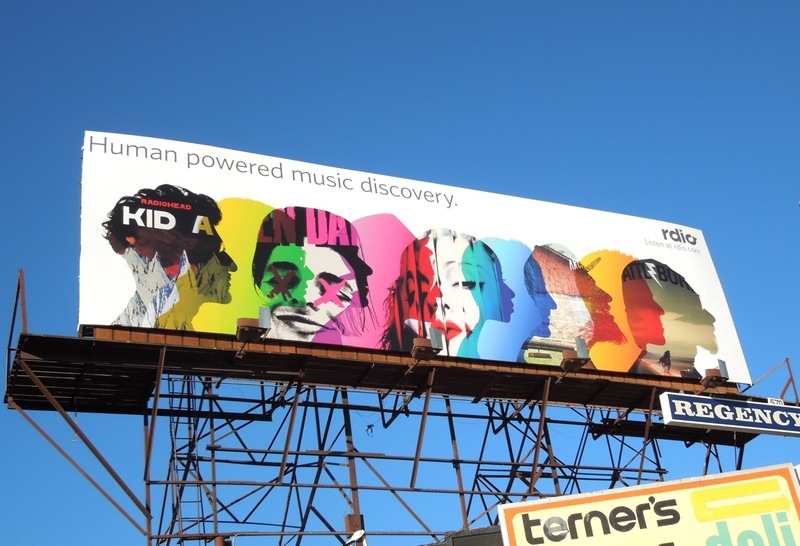 Music and audio offerings are often harder to communicate than other more visual products and services, so this cool mash-up of iconic singers and bands like Madonna, Green Day, The Killers and Radiohead to name but a few, really catches your eye. 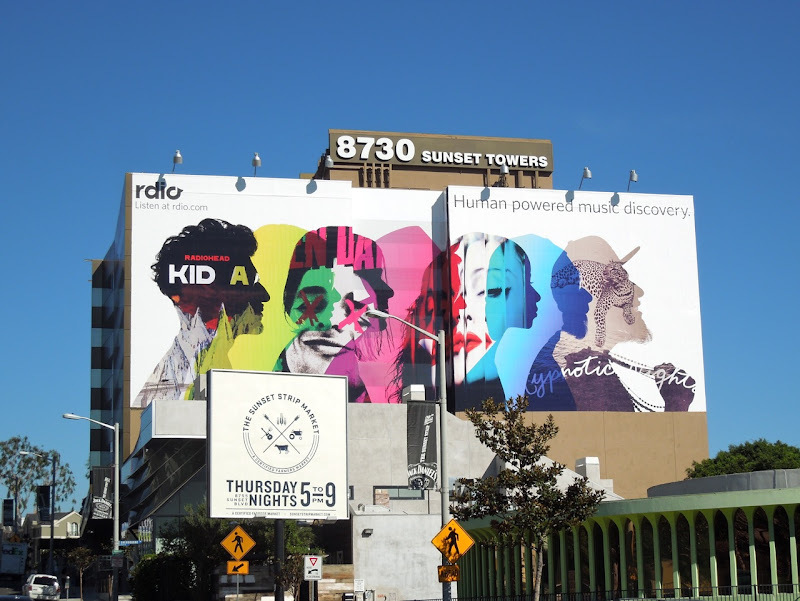 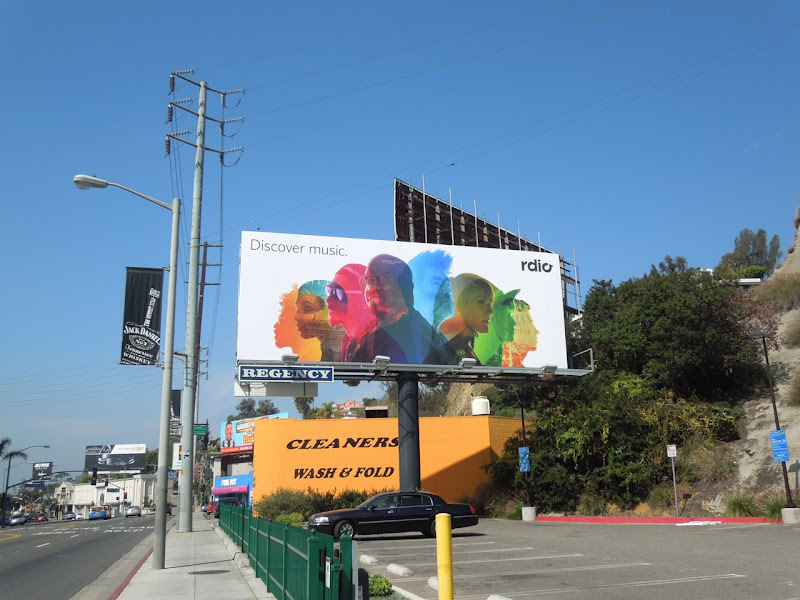 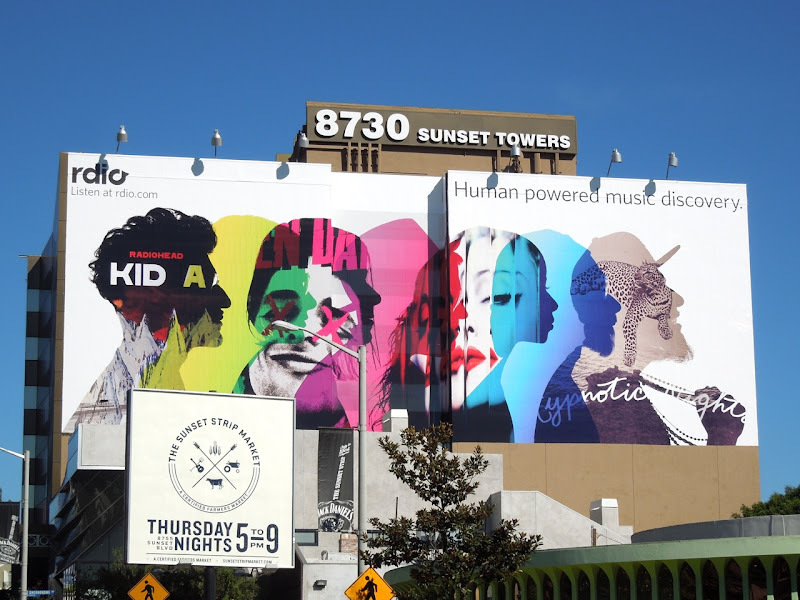 The giant-sized Rdio version was spied towering over Sunset Boulevard on October 15, whilst the standard landscape billboard was snapped further west along the Strip over the notorious Viper Room on October 30, 2012. If you like these ads, be sure to check out even more music-themed billboards here at Daily Billboard. 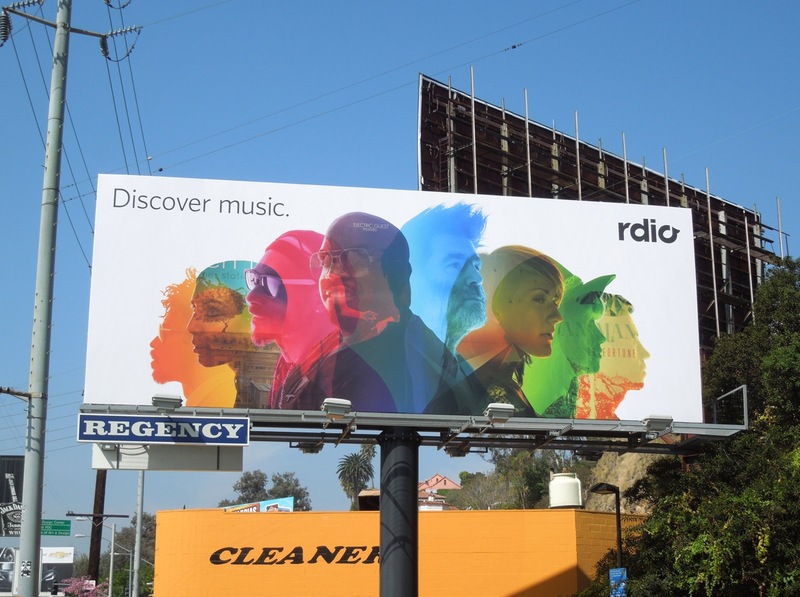 UPDATED: Here's another of the Rdio billboards snapped brightening up Pico Boulevard on November 10, 2012. 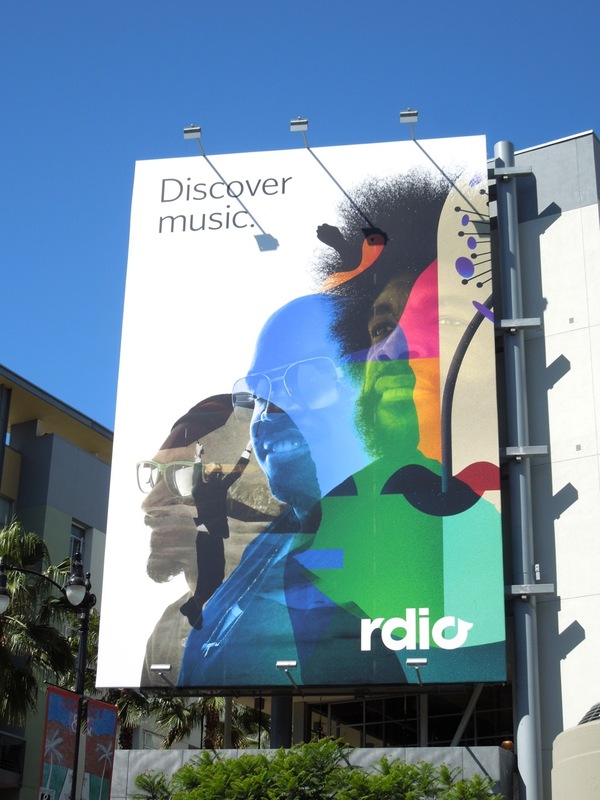 UPDATED: Are you ready for a new wave of billboard ads from digital music supplier Rdio? 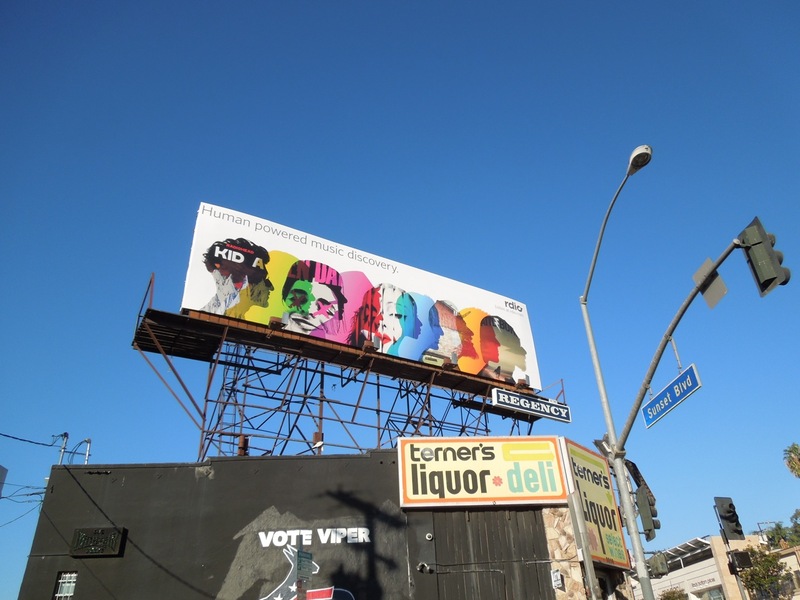 This second phase continues the kaleidoscopic silhouette creative, with new artists like CeeLo Green and Questlove fronting the campaign. 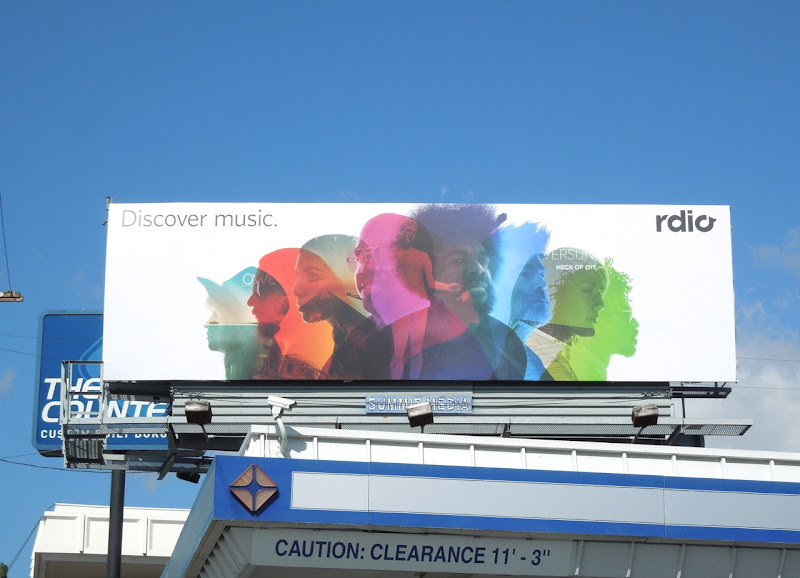 These billboards certainly brighten up the city skyline and have an almost Apple design quality to them (replace the rdio logo with an i-something and see what Daily Billboard means). They were snapped along Sunset Boulevard and at Sunset & Vine in the first week of April 2013.